Mark it in your diary. Keep a notebook on hand. Keep all your receipts and highlight every product that contained plastic. Collect it all. One of the rules of the challenge is to have a Dilemma Bag to store every bit of plastic you accrue. Why not have a ‘Before Bag’ and collect all the plastic you use when you aren’t being conscious about it. Then you can compare it at the end of the challenge to see how much you saved. 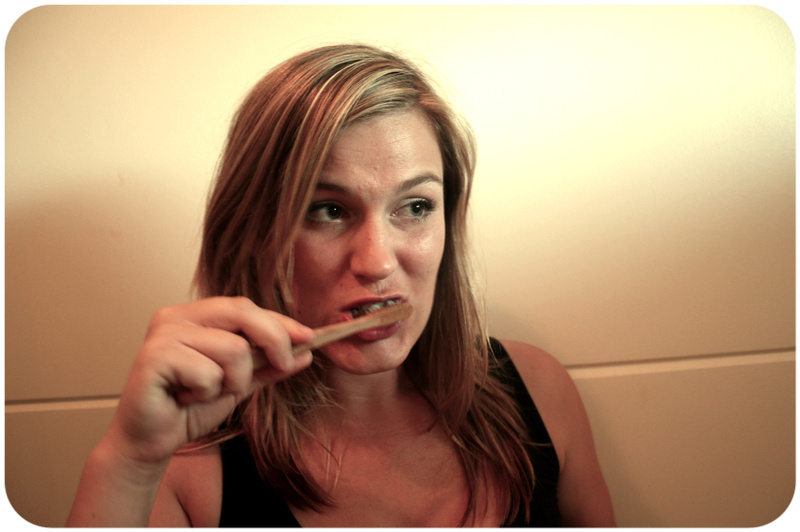 It can be kind of like those infomercial diet adverts – except it would actually be real! If you want to be particularly fastidious about it be sure to note down the incidental plastics too, things like drinking straws. After you’ve monitored your habits you will basically have your own tailored infographic detailing how much plastic infiltrates your life on a day-to-day basis. This is a great way to forecast any problem area’s and ensure that you have a contingency plan in place! I always seem to end up with a bunch of Chinese takeaway containers that once carried my salady goodness. It is all down to being rushed and disorganized! Solution #1: Going to make up a task board at home to be more organised. 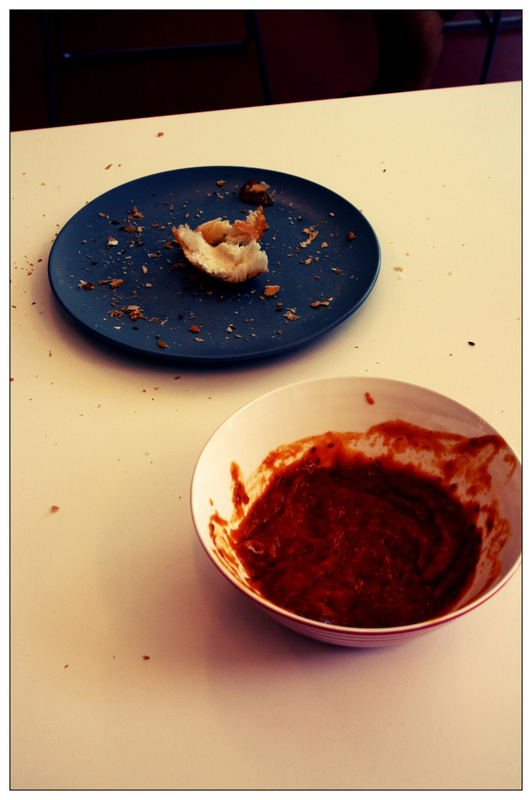 Solution #3: Will eat at the actual café more – enjoy a good ol’ fashioned plate of salad! Cosmetics – mascara and concealer especially. Solution: Researching companies that do not use plastic. Solution: BUT they have no nutritional value so I am happy to cut these out altogether. Why do they come wrapped in plastic in a cardboard box? Solution: Investigating how to make my own. Unfortunately all rice/soy/oat milk containers come in those tetramilk packs which are lined with plastic and often have plastic lids too. Solution: I am currently investigating how to make my own. **Editors Note: Since last year I am now pretty professional at making my own nut milks! See how here. If you go to the E-String Bags website they have a plastic bag counter in the left navigation column. It shows the Australian and Worldwide Year To Date usage of plastic bags. Watching those numbers fly by really drives home the scale of the issue with plastic bags. I don’t think there is anything more tragic than a major problem that has such an easy solution. Either way, hopefully you already have a few of these but if not you can find them everywhere. I can’t go past a WA hero Onya Bags – BONUS you get to support a sustainable local business! They are convenient, colourful and made from recycled bottles. You can buy these online as well as all around the country (in cities and regional areas). See the stockists here. Onya also have a bazillion other awesome products like a reusable food cover and FINALLY a reusable doggy poo/nappy bag. E-string bags are perfect and they are only $3.25 each. They’re made of organic cotton and can be bunched up to be really small but are also super stretchy so can accommodate for any surprise shopping excursions too! Buy them here. Onya Bags are back to the rescue. They have a range of colours and sizes of BYO Cups (I am partial to the Olive Green one) and are all made from food safe silicone. See the range here. You can buy everything online too! For international readers there are local options too! Keep Cups have offices in Australia, UK and USA and allow you to not only order online but also customize your cup size and colour into the craziest combination you can think of! Have a play and make your perfect cup here. Here are some interesting stats on bottled water (care of The Gruen Transfer). “It costs more than petrol. It takes 3 bottles of water to make 1 bottle of water. Fill an empty bottle a quarter full of oil and that’s the content of petroleum used to make it. So why is it a $500 million dollar industry in Australia when we have some of the healthiest drinking water on the planet straight from our tap?” Couldn’t of said it better myself!!! Get yourself (and your family) a reusable stainless steel water bottle and take it everywhere you go. They are available at supermarkets, chemists, health-stores, kitchen stores and sports stores. Again (I swear I don’t get commission – I can’t help the companies I love!) Onya have great Reusabele H2O bottles in a massive range sizes and colours. See them here. If you have teenagers that are a bit finicky about their ‘dorky’ mum buying them things then SIGG (another Australian company) have bottles with all sorts of designs on them (see here). Kids will love getting involved and being able to pick out a sustainable style that suits them. Envirosax (based in Queensland) have a great range to (see here). They also sell Internationally! If you know you are going somewhere that will require you getting a ‘takeaway meal’ be prepared and take your own containers. 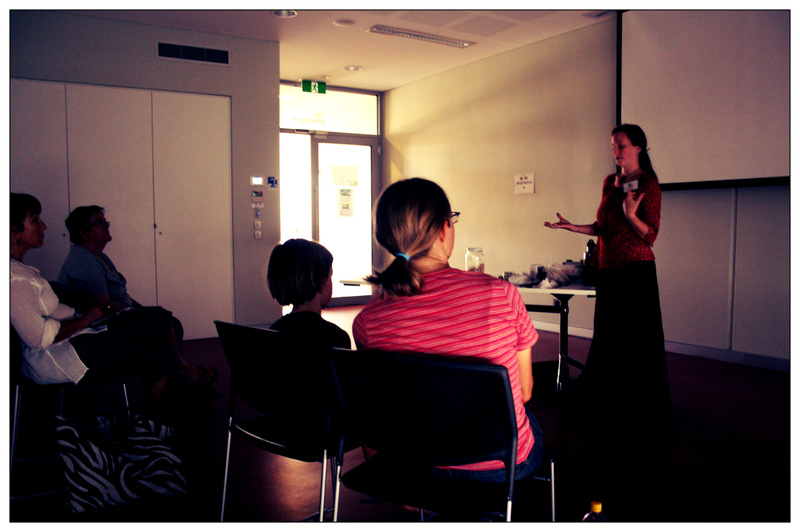 I remember chatting to Jess from Plastic Freo (amazing girl who is going plastic free for a whole year! Read more here) saying that most cafe’s or food vans or whatever were really impressed with her and were more than happy to use her container instead. It is also a great conversation starter in the food line – if you are a chatty type – and again spreads a really fantastic message. I keep two sets of knives and forks in my bag at all times. I consider plastic cutlery one of the sneaky plastics. Sometimes you don’t even ask for them but before you know it they’re in your hand and out the door. If you don’t want to ruin your kitchen set then just pop into an opshop – they always have mismatched cutlery there which won’t set you out more than $2. While some of us are plenty accustomed to using those funny pink pillows that line our mouths to drink, some peeps are particularly partial to straws – and what’s not to love about a straw. Tubes of yum! Avoid the wasteful plastic varieties though and get your mits on metal straws like these ones from the Ash n’ Jules Eco Everyday Basics. Aren’t we lucky that we have so many fantastic people to look up to and so many helpful resources available when it comes to fighting for our planet? Wise Up – If you want to get a few more tips and tricks (as well as meet like-minded people) then head to any of the free Plastic Free July events that the Western Earth Carers are holding. See the event details here – there are cooking classes, movie screenings and workshops. Fun fun. Tim Silverwood / Take 3 – What a hero. Tim really shows people that one person can make a massive difference. As an ocean lover he founded the Take 3 Organisation where the message is simple – “take 3 pieces of rubbish when you leave the beach, waterway or…anywhere and you have made a difference”. Follow his facebook page for daily information and inspiration about being plastic free. Why not add the Take 3 rule to your Plastic Free July? Lisa Griffin / Plastic Free Freo – Again, one girl who made a massive difference. I was lucky enough to be spending a lot of time around Lisa when this initiative was getting off the ground. This lion haired (and hearted) maiden knew that a ban on plastic bags was a huge step towards keeping her beloved community beautiful. So she lobbied. And lobbied. And got local attention. Then national attention. Then won! 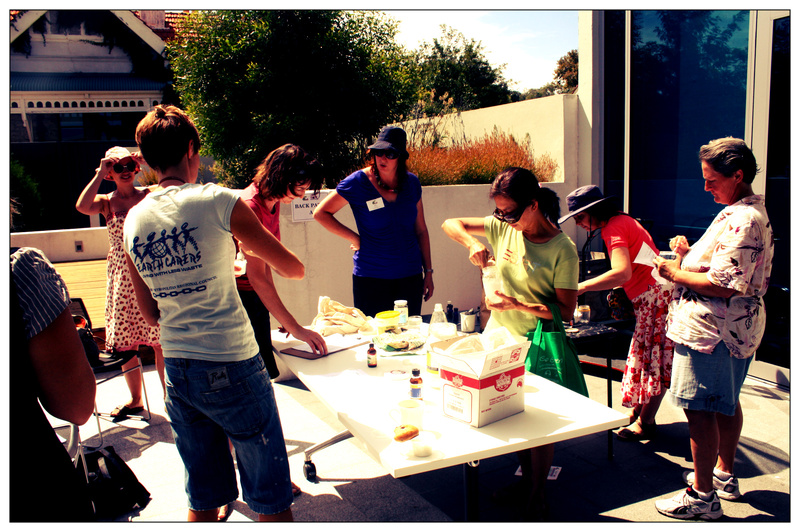 Check out the Plastic Free Freo website here. Why stop at banning plastic from your life only? Beth Terry / My Plastic Free Life – The epitome of the ethical consumer. Beth saw practices and effects that she didn’t like and then voted with her dollar. If a company used plastic she would avoid it and then go one step further. She would write to the company, let them know that consumers do care enough about the environment to avoid purchasing the product and would have great success. One company changed their whole packaging from one bit of feedback. Keep that in mind throughout your challenge! (You can see Beth’s amazing story within this post or see her website here). Step 5: Think Positive – You Are Doing Something AMAZING! Well – you are ready to go! Before you set out on this crazy mission though make sure you remind yourself of all the fantastic benefits you get from abolishing plastic from your life. Your health, the oceans, money, time – the benefits are endless. I think the best thing is you can wake up every morning knowing that you are consciously focused on making a difference to the planet and setting a great example for everyone around you. Remind yourself of that every time you say no to a piece of plastic. Good luck! I discovered how to make my own toothpaste on Saturday and now I can categorically say that I won’t be turning back. In this previous post, I explained the reasons why you might want to look into this alternative rather than your average over-packaged, chemical-ridden, animal-tested varieties… But on top of that, there is something so fun about making it yourself! Getting your nutty professor on and testing out different mixes and scents. The mix that Shani (from Ecoburbia and The Painted Fish) showed us works well for me, but is also the first I have tried. She also gave two other recipes which I will try once I am up with this batch. But for now…this one works swell. Give it a try. Essential Oils (like peppermint, vanilla) – make sure they are food-grade! Add one of the optional ingredients here and stir. I used Peppermint Oil and it was lovely. 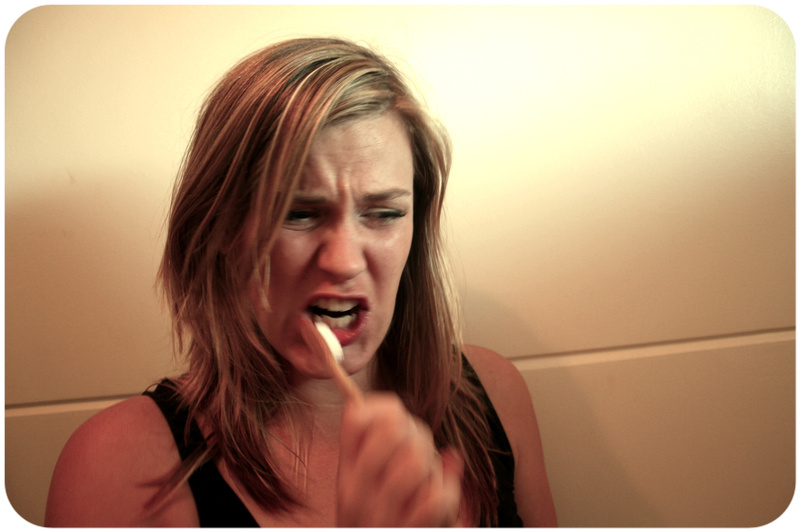 It gave the traditional toothpaste-y smell which is good when you are getting used to a new taste. My finished product! Peppermint Toothpaste. Sea salt – best found at stores like Kakula’s Brothers or Sisters where you can buy bulk herbs and spices for a low price. Glycerine / Glycerol – can be bought at chemists. Essential Oils – Food grade essential oils can be found at healthstores. Manna Wholefoods in Freo definitely stocks it. There is definitely a salty tang to it but there is also a sweet minty taste too (if you used the oil, as I did). The Glycerol has quite a sweet taste to it and gives it the smooth pasty consistency which is quite nice – it almost feels like you are just brushing with a wet brush. The bicarb soda acts as the cleansing agent (you can actually feel that working) and the salt is the abrasive. All in all it is not bad. Whenever I felt myself noticing it I just imagined I was at the beach and asked myself if I would mind if a little salt water got in my mouth. Nope. hmmm… Think about the beach…. I really did consider not putting that photo and tip in… and this is not only because of how physically flattering it is for my face (obviously). I wanted to be honest about the experience and not promise some amazing flavour just to get you to try it! This is not a reason to consider not trying it… It is no different to your average toothpaste: If you swallow it you are going to be met with a few fairly unpleasant sensations. Don’t swallow it. It tastes like salt. Imagining I was at the beach did nothing to help me then, although my husband (the photographer) thought it was the funniest thing he had seen all week. 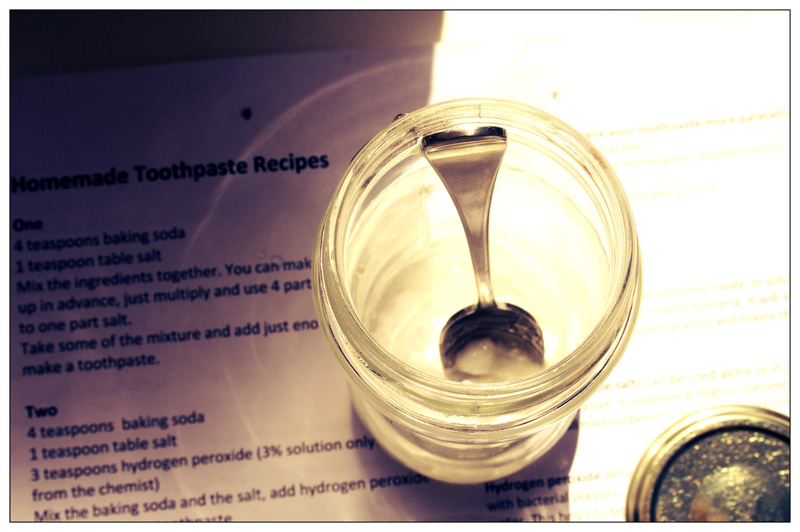 After our first few teething problems I am truly sold on this DIY toothpaste. My husband has converted as well and we honestly feel that it does wonders. Our teeth look whiter and we have breath tested each other at different points throughout the day and passed with flying colours. It is also just a damn good feeling to know that you are not contributing to environmental damage, animal cruelty and an overall bad system every morning and afternoon. I hope you enjoy it. 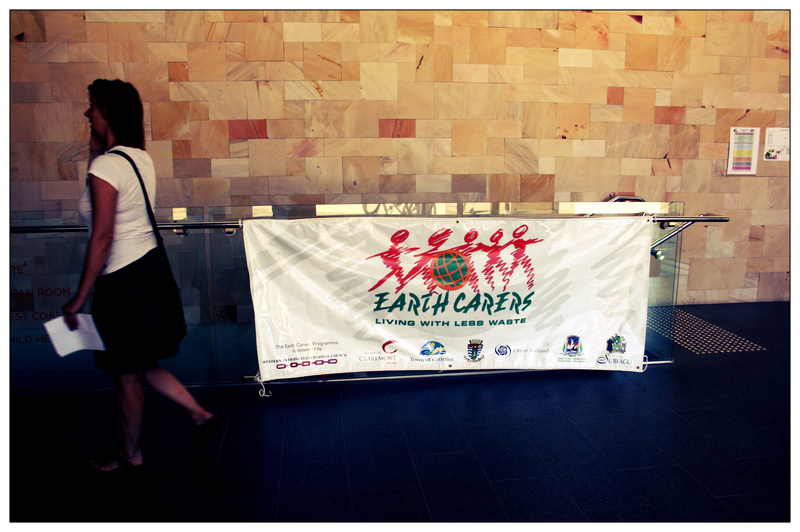 Earth Carers run yet another gorgeous community event. Anyone that follows this blog, my Facebook or my Twitter would know that I was pretty damn excited about the Less Is More Festival that happened on Saturday. It has now been and gone and I can tell you all – I was not disappointed. 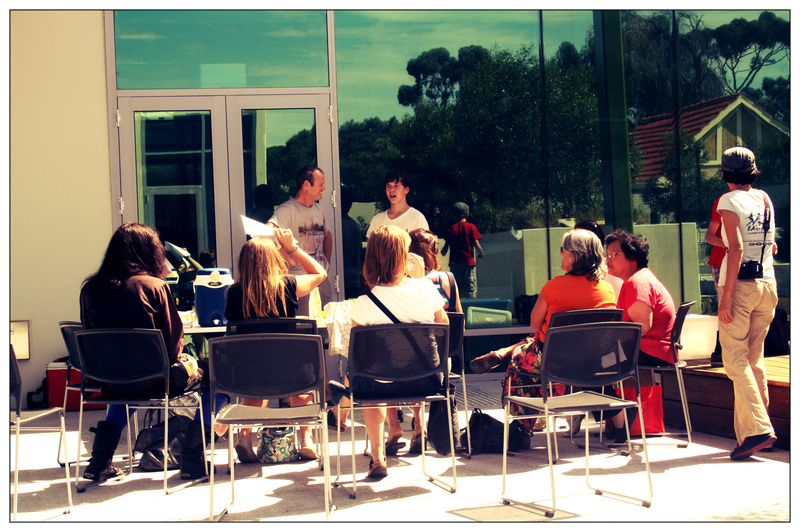 It was a glorious day full of great people, ideas, food and workshops. The festival organiser (hot-pink haired sensation, Claire Litton) should feel very proud to have fulfilled her objective; to show people how to consume less but enjoy more. I sat through a few workshops (and poked my head into some too) and learnt something from each one. The classes were all buzzing with conversation with the presenter providing a framework but the crowd sharing their stories and tips. There was such a feeling of community. 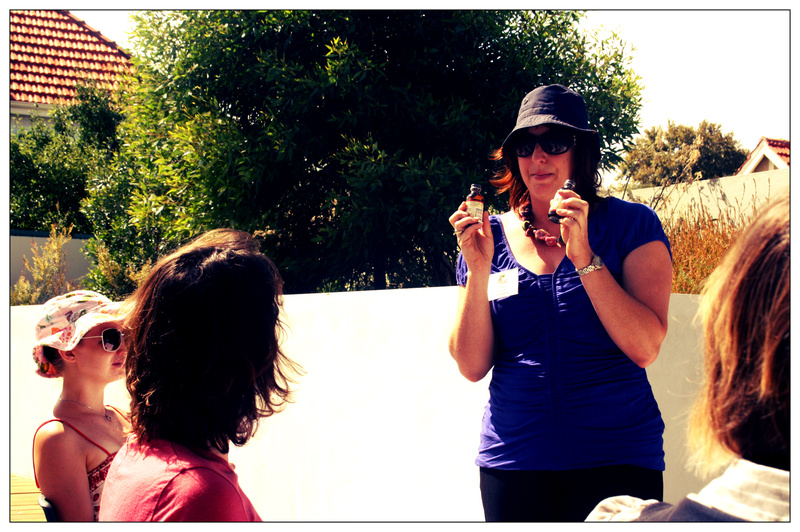 Shani explains that you need to check your essential oil is food grade! 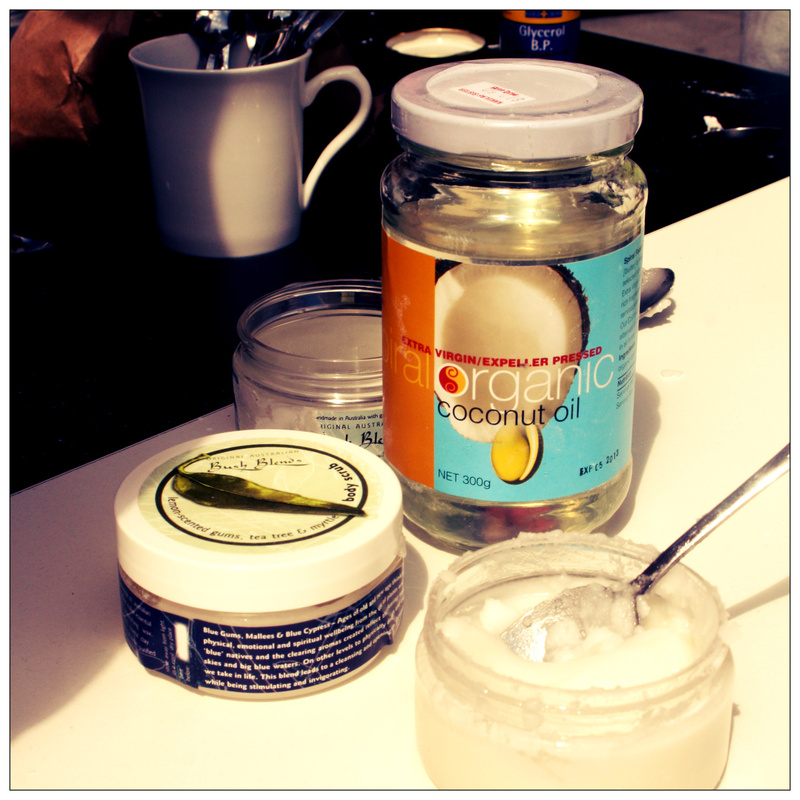 My fave class was definitely Shani Graham’s (from Ecoburbia and The Painted Fish) tutorial on DIY toothpaste and deodorant. Shani did a quick survey on why we were all there and it was lovely to hear so many people taking a stand against some of the unnecessary and downright unhealthy elements of modern day consumption. 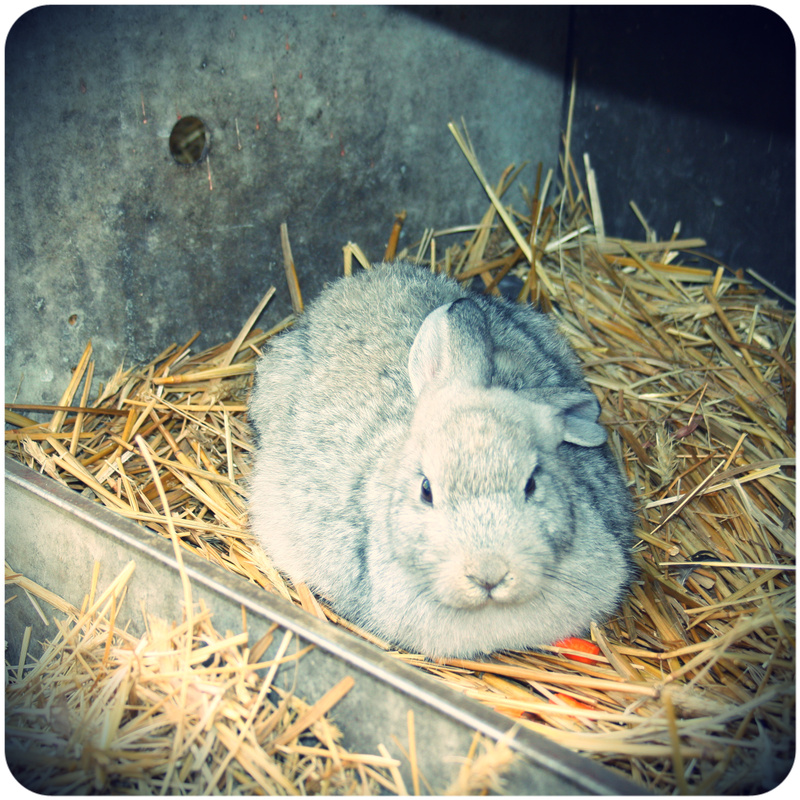 Too much packaging, animal testing, concerns for human health or a commitment to living organically. "Is is meant to be this gooey?" 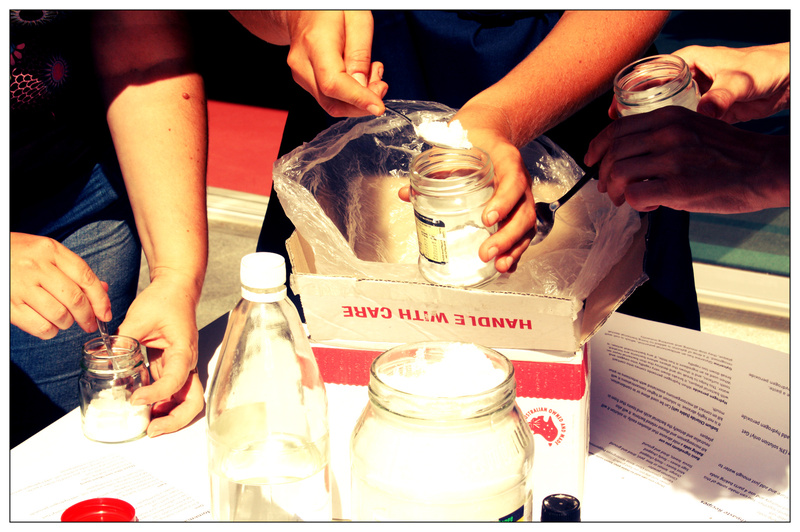 After the introductions Shani (like a mad scientist in her lab) started showing off the DIY ingredients. Bicarb soda, essential oils, corn flour, sea salt… no Sodium Lauryl Sulfate here! With recipe sheets in hand we all started shovelling salt and bicarb into our jars and dripping in coconut oils and glycerine. It was almost like year 8 science class and we were all testing out different concoctions and questioning whether we had the right consistency. Walking away from the class I realised something really nice – I now never have to give Colgate a cent of my money every again! (**I have been using my DIY cosmetics since the festival and I am absolutely loving it! 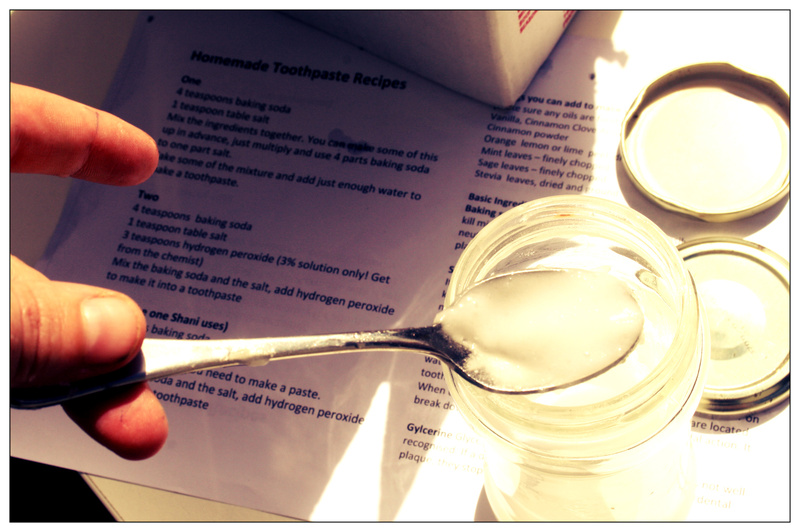 For a recipe to make you own toothpaste click here). 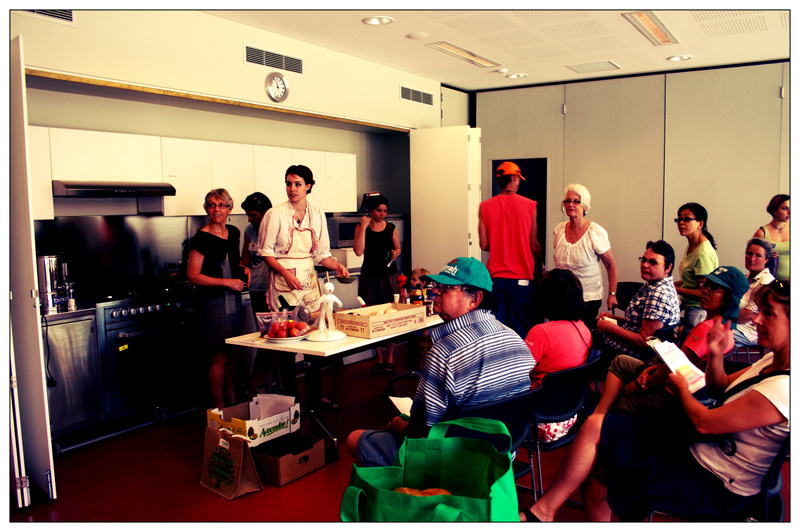 After that I went for a bit of a wander and saw people making their own ginger beer, mango ketchup (Wow – delicious!) and even sanitary pads. I ended up in a workshop that is close to my heart… how to live plastic free. Fremantle couple Nathan and Jess (find them at Plastic Freo) have decided to go one whole year without plastic and they spoke about the challenges that they had already encountered and gave tips on how to go about reducing your plastic intake. As a dairy addict, Jess now has to order her milk ahead of time from Perth Organics as it comes in a glass bottle. As yoghurt only seems to come in plastic they have also learnt how to make yoghurt from it. They were a bloody inspiring young couple and have certainly given me some ideas on how to eliminate plastic completely from the Ehlers household. All in all I know that it is going to take effort, discipline and some organisation but I feel confident that I am up for the challenge. (Apparently the Fremantle Council is too – check out the Plastic Free Freo campaign). There were loads more classes that I didn’t manage to get to. If you went to one that I didn’t and want to share it please leave a comment. 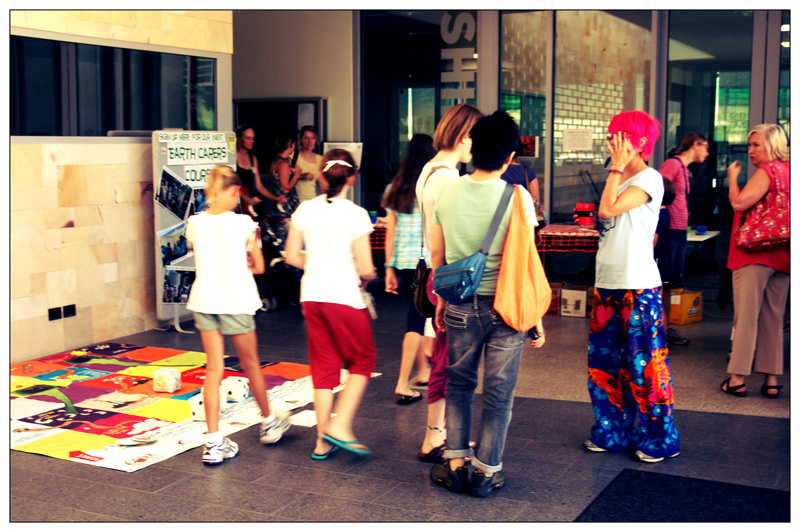 All in all it was an absolutely fabulous festival that really showed creative ways to reduce your impact on the planet. Personally I have taken a lovely lesson from it – I have realised that I need to slow down a bit and get back to basics. 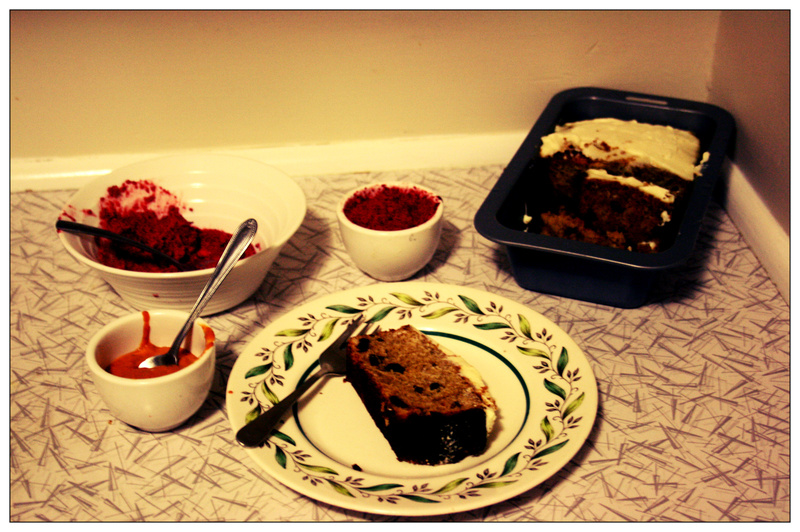 So on that note, I had friends over for afternoon tea and they sat down to vegetables with two homemade dips (beetroot and capsicum & walnut) followed by a warm slice of banana and cranberry bread. It tasted all the better knowing that I made it myself. Scroll down for more pics of the festival. 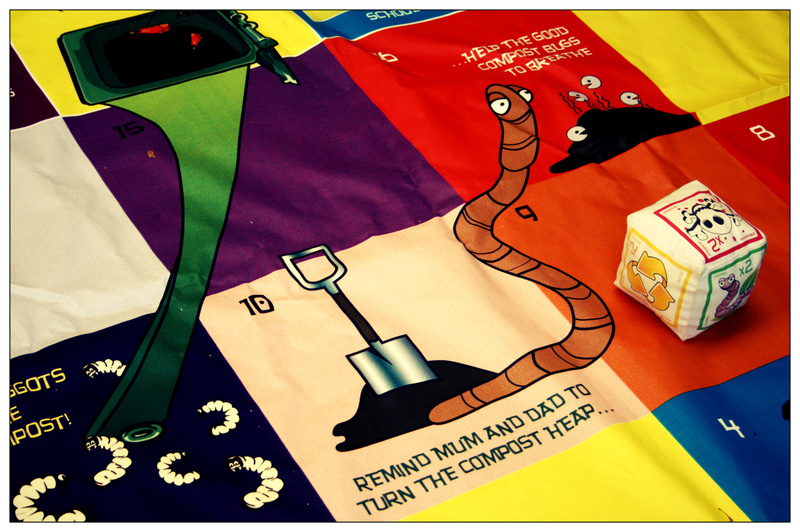 Cute kids game - Instead of Snakes and Ladders it was "Worms and Shute's"
My finished toothpaste... mmm Peppermint! 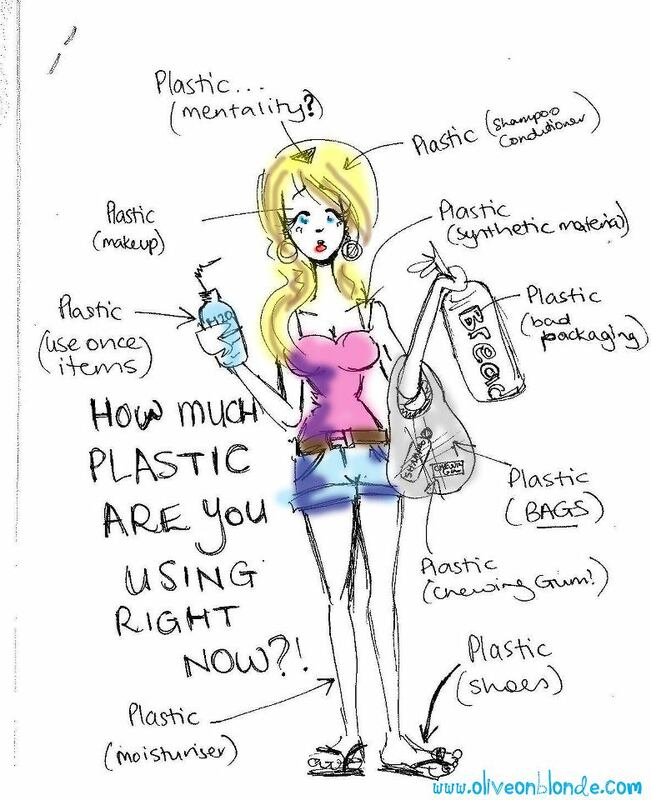 The use of plastics in Western society is so illogical and so blatantly flawed that it makes my head spin. We are using plastic (a man-made material designed to last forever) to create products that are designed to be thrown away! It wasn’t always like this. You just need to sit with your grandparents for a chat about the good ol’ days to see where we started going wrong. Milk used to be delivered in little glass bottles that would be collected and reused. My Grandma used to send soda and beer bottles back to the factory to be sterilised and refilled. When she would send fragile things in the mail it was wrapped in newspaper – not bubble wrap. She would wash my mothers’ material nappy rather than throw them in the trash. It is all making sense now. We are so focused on convenience that we are literally turning the earth into a trash can. Firstly, where it comes from. Plastic bags are made from ethylene, a gas that is produced as a by-product of oil, gas and coal production – all non-renewable fossil fuels. Ethylene is then made into polymers which are in turn made into pellets. These pellets can be used to produce a whole range of items. The problem is a huge amount of plastic products fall into two main categories; Single Use Items or Short-term Use Items. Items like plastic bags, water bottles, packaging or lolly-pop sticks. These items can have a usability of 2 minutes but a lifespan of 1000years! To put this into perspective, the amount of petroleum used to make one plastic bag would drive a car about 115 metres! By that logic, in Australia we use approximately 6.9 billion plastic checkout bags every year which would be enough to drive a car 800 million kilometres which is nearly 20,000 times around the world or 4 round trips to the Sun! Do you find that every time you buy something a better, more efficient, trendier product has replaced it the next day? 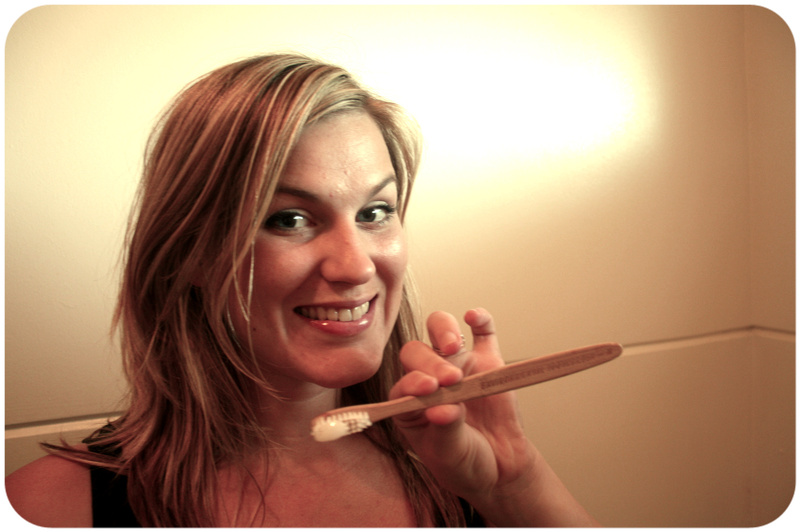 This can range from TV’s to phones or even toothbrushes… “Wow – that brush has a unique bristle design to clean my tongue and cheeks… my old one only has whitening cups. I better go get the new one”. And then there are all those dentist recommendations telling you to buy a new brush every 3 months. These are very well-thought out marketing ploys by the name of either ‘Planned Obsolescence’ or ‘Perceived Obsolescence’. It is basically a way to shame you into buying a new product when your existing one is still completely functional. Other than being unbelievably ugly, disposed of plastics have massive effects on both the urban and natural environment. Details about the natural environment are spoken about in all the below points; things like animal death and injury, biotoxificaton and the fact that it is non-biodegradable. Biodegradable plastic is not all it is cracked up to be; some plastics only degrade when in contact with sunlight (not buried in landfill), others can take 500 years to decompose and others are actually more dangerous as when they finally do breakdown they release methane into the atmosphere. With roughly 50% of the plastic we use ending up in landfill this is all of serious concern. Plastic can also be extremely dangerous for urban environments and the people that live in them. 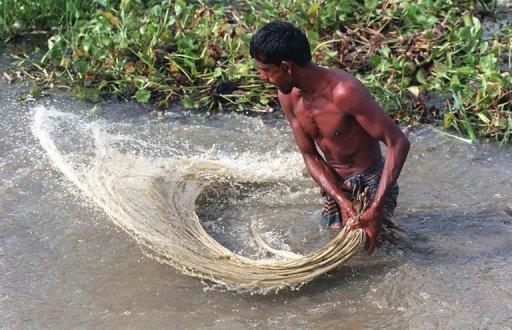 In 1988 and 1998 over two thirds of Bangladesh flooded – the capital, Dhaka, aws 2m underwater. In the 1998 floods 1,070 people died and 30million were left homeless. The main culprit for this flooding was discarded plastic bags covering and getting caught in drains. This led to a complete ban on plastic bands being imposed in 2002. Similarly I went to Bali last year and could not believe my eyes! Along the streets, in the rivers, in the ocean even in the jungles of Ubud – plastic rubbish was everywhere. In Bali (also a developing country) it is too expensive to dispose of so they just have to leave it there unless they come up with their own solutions…. I walked past as a Balinese man lit his pile of plastic on fire to destroy it. It was horrendous seeing the plumes of black smoke whirring up into the atmosphere, and watching people and children talking near the fire and surely inhaling the toxic chemicals it was producing. According to Care2 “more than a million seabirds and 100,000 marine animals die every year from ingestion of or entanglement in plastics”. These animals (including whales, seals, turtles and dolphins) die slow and painful deaths either from intestinal blockages or drowning. Considering we use approximately 500 billion plastic bags alone every year that is a lot of potential deaths – especially when you realise that plastic bags can be serial killers. The animals that swallow the plastic decompose quicker than the plastic inside them which then releases it back out into the water for another poor soul to mistake as a jellyfish. As I also explained in my last post fragments of plastic are also breaking up into small nodes – can be microscopic – allowing a large range of animals to eat and then absorb it into their bodies. 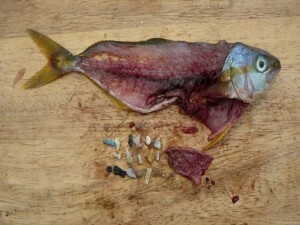 Our throw-away items are leading to mass bio-toxification of our oceans and consequently our food chain. Scientists are only now starting to really understand the long-term effects this plastic will have on our own biochemistry, but many studies have linked our increased plastics consumption to cancer (breast and colon), infertility, birth defects and obesity. These scary statistics should not just be attached to the plastic that is in our food chains either. Considerable findings are starting to point to how we package and heat our foods as well. Plastic bottles, cheese, tofu, canned goods (inside of cans are lined in plastic), meat on Styrofoam trays and wrapped in cling wrap – these products have all been linked. Public perception is that plastic is cheap. Hell! It is better than cheap… it is FREE! However, this is a classic case of not looking at the embodied cost of the product – the true cost! 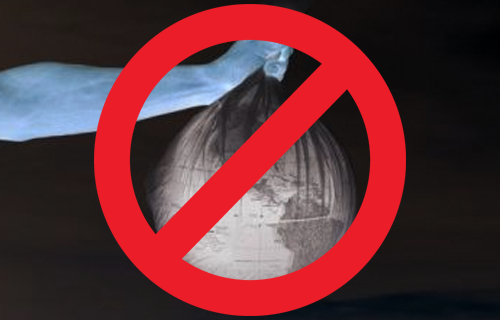 As reported by Planet Ark plastic bags, for example, are not free to consumers – they add an estimated $173 million a year to Australia’s grocery bills! Additionally the Australian local and state governments spend over $200 million a year clearing litter. Right there is $375million that the Australian taxpayer is contributing to pollution. In the 2010-11 budget our government cut $250 million from urban water initiatives and $80million from major national environmental protection program (Caring for our Country) because of ‘hard financial times’. Could we not just cut the pollution, saving the consumer $173m, the taxpayer $200m and the environmental devastation which is unmeasurable? That’s $375million which could be injected back into the economy, towards useful ends, not just a lazy convenience. I know that producing a budget for the entire country is more complicated than that but the overall solution is simple. Stop investing in pollution. Start investing in sustainable technologies and solutions. It is not fair that we treat our environment, other countries (predominantly third-world), the animals that live in it, our health or our oceans this way. It is not even for a noble cause. There is not one application that we use plastic for that could not have an eco-alternative that uses renewable energy sources. I throw down the challenge for you to think of one? We need to start having a bit more self-respect and respect for the rest of the planet. We need to stop biting the hand that feeds us. 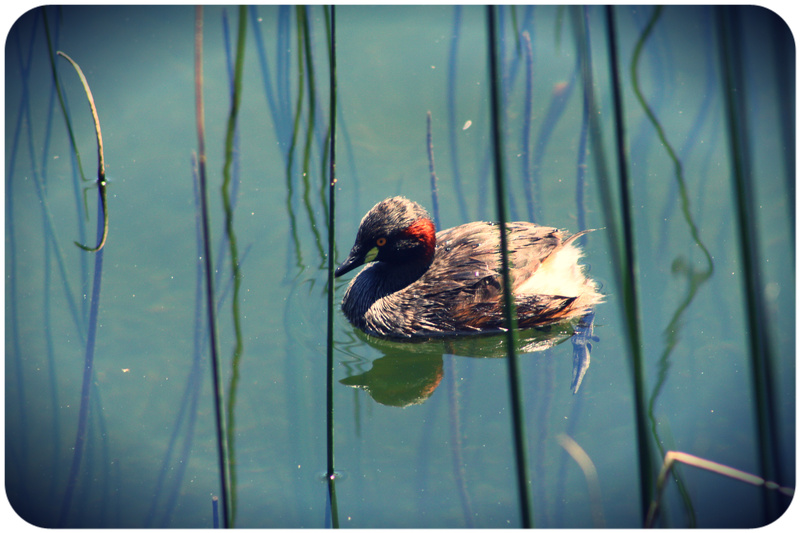 Researching this post has really strengthened my resolve to eliminate plastic from my life and I hope it has you too. I will be documenting my challenge to be plastic free as I am sure there will be some hurdles but I am willing to jump them after the information I have read this week. It isn’t all doom and gloom – tomorrow I will be looking at solutions (individual and otherwise) to this massive problem. There are little and big things that we can all do.